An amazing cake needs an amazing cake topper, just like a sundae needs a cherry on the top! Cake toppers are the way to express your creativity. I’m sure you’re getting a delicious cake and a unique cake topper. So, what have you decided on? A more traditional cake topper is this one with tiny figurines. This is one of the mos popular cake toppers; a simple bride and groom made of marzipan or any other material. 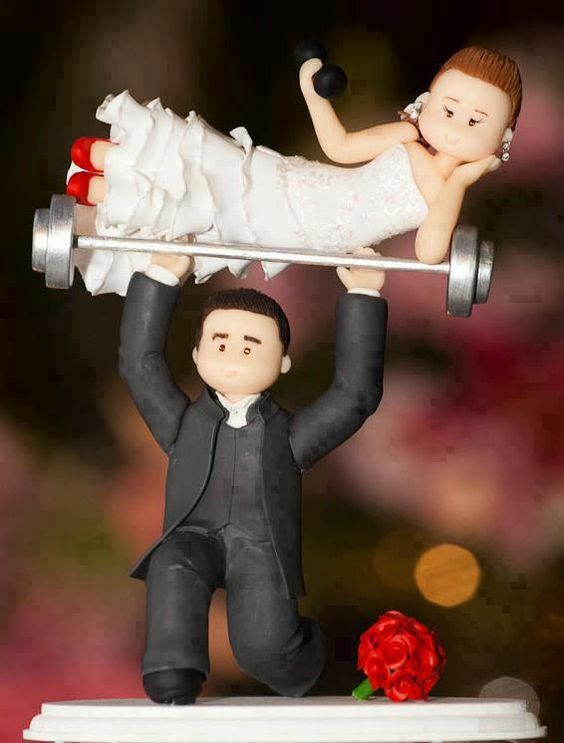 Hold on; this isn’t a regular cake topper! This is specially made for fitness lovers! You know what would be fun? If the bride was holding the groom.